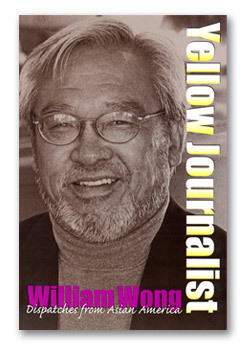 Welcome to Yellowjournalist.com, the web site of Yellow Journalist: Dispatches from Asian America, William Wong's provocative new book published by Temple University Press. Yellow Journalist is a tour-de-force collection of essays and stories that chronicle the Asian American experience with humor, pungent wit and astute perception. Yellow Journalist takes you on a kaleidoscopic journey -- from Angel Island to affirmative action, history to Hollywood, immigration to identity, Connie Chung to Tiger Woods. Learn more about Yellow Journalist, an entertaining book about a little known, but fast growing piece of the American mosaic. Images of America: Oakland's Chinatown (Arcadia Publishing Co., 2004) is a eye-catching photo history of one of America's oldest Chinatown, one that is overshadowed by San Francisco's famous Chinatown ten miles to the west. The book features 215 photos and images that vividly tell Oakland Chinatown's history spanning more than a hundred years. 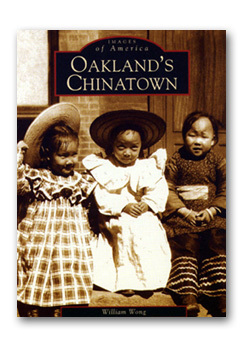 www.oaklandchinatownhistory.org, www.arcadiapublishing.com.